It did not work out so nicely with the new stork camera this year, several technical problems needed a fair amount of on the spot and remote activities – that is, fixing faults. 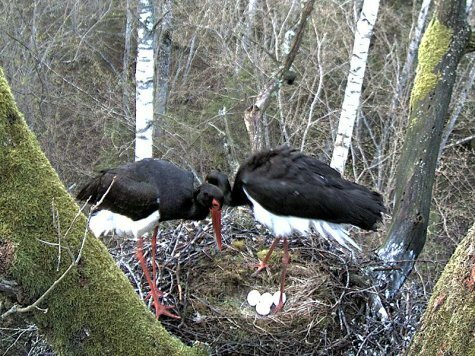 The main thing was still achieved – black stork pair Tiina and Tiit were not disturbed during their nesting. At least so we ourselves believe. All four chicks fledged. 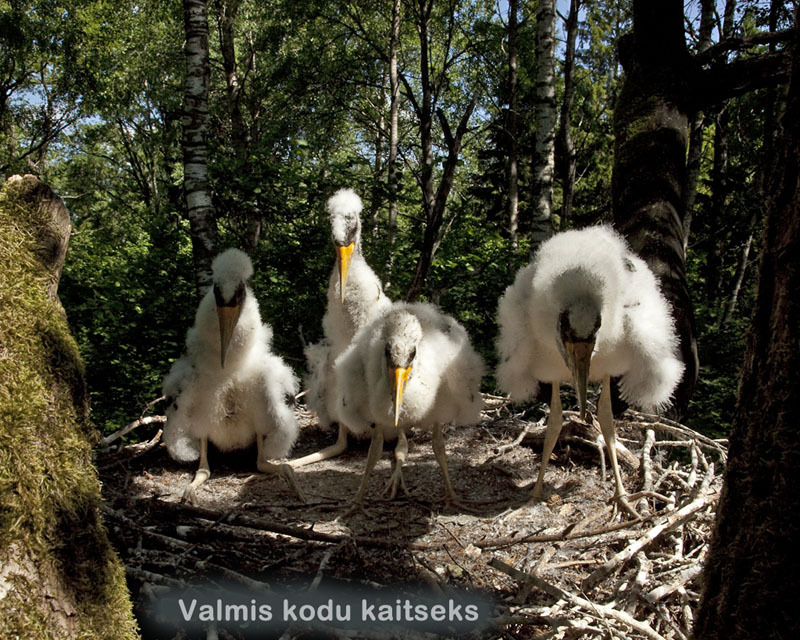 The smallest, the baby, did fly to Finland at first, but perhaps we will meet them again some time, at best even nesting. Stork Camera 2 disappears in the nearest future from the Looduskalender list of active web cameras, to start again next spring – hopefully technically more mature. Thanks to the viewers and the forum people for your patience! If anyone deserves being specially mentioned then forum member Felis Silvestris who besides all else did a very great job with gathering and saving the camera images! And special thanks also to Renno (those forty-kilo batteries are not exactly easy to carry ...)!